Wisconsin Sports Tap: Fair Market Value? 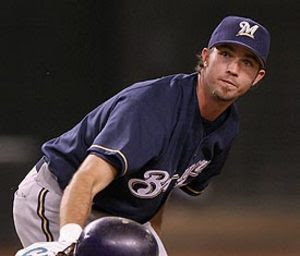 Shocking nobody, J.J. Hardy is no longer a Milwaukee Brewer. He has been traded to the Minnesota Twins for Center Fielder Carlos Gomez, a former top prospect in the New York Mets system. The end result of this trade is two-fold. First, Alcides Escobar will be the starting shortstop in 2010. Second, this means the end of Mike Cameron's tenure patrolling Center Field at Miller Park. The comparison between Hardy and Gomez is clear, not by player types but by similar situations. In 2008, Gomez and Hardy were nearly untouchable; their teams and fans loved them and they each had huge impacts on the field. Then came 2009. Both Hardy and Gomez slumped impressively, ultimately losing starting jobs. Hardy was replaced by Escobar in August and Gomez was replaced Denard Span in May. Both players were once highly touted and had fallen off to a point that they really would not have seen much playing time in 2010 if they were not traded. As far as the type of players they are, you shouldn't compare Gomez to Hardy but rather compare Gomez to the man he'll be replacing in Center, Mike Cameron. So here's a breakdown of the two players, looking at Gomez in 2008 when he started the full year. Remember when you look at this that Gomez struggled the following season, but as a young player some development is hoped for. Clearly the Brewers will be sacrificing a large amount of power and run production, but what they will be getting back is a lot of speed and potential. Gomez was once considered a Five-Tool prospect, and he brings another blazing base-runner to combine with Alcides Escobar. This kind of speed is something that Milwaukee has not had in a very long time. The only real concern are the strikeouts, if you were irritated with Cameron's persistent strikeouts, don't expect that to change with Carlos. Defensively the Brewers lose nothing and that may be what is most important if you watched Cameron play over the last two years. 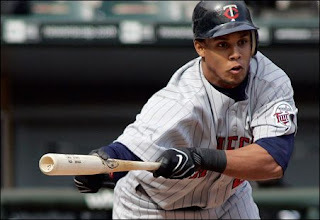 In 2008, when he played in 153 games for the Twins, Gomez was by many metrics the best defensive center fielder in all of baseball. What if Gomez flares out and is nothing more than a fourth outfielder? A defensive replacement and pinch-hitter/pinch-runner? Don't worry, Gomez is under club control through the 2013 season, two more seasons than J.J. Hardy and if he doesn't pan out over the next couple of seasons there are guys developing in the Minors. A year ago Lorenzo Cain was the name on everybody's lips. Well, he is still around. His development was slowed by a knee injury in April and he struggled afterwards. 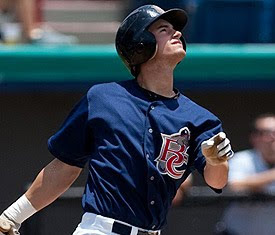 It's likely he'll be assigned to Triple-A Nashville next year and with a big 2010 he will be right back in the picture. And if Cain doesn't make that jump, well there's this kid named Logan Schafer that plays Center Field who was just named the Crew's Minor League hitter of the year. Schafer will be in Double-A next season and if he performs well he could be knocking on the door in 2011 as well. If Gomez lives up to his potential, he could be the Center Fielder of the future, he's only 24 after all. If he doesn't? Milwaukee has a pretty good farm system to draw on. Ah the million dollar question. What Milwaukee did with this trade was free up a huge chunk of payroll. Had the team decided to bring back Mike Cameron they would have had to pay him a raise on his $10 million salary in 2009. Dealing Hardy sends his $4.65 million out of the teams payroll. The replacements, Escobar and Gomez, combined to make about $1 million in 2010. Gomez is entering his first year of arbitration, which means he will receive a raise. We'll say he makes $1.5 million next year (completely arbitrary number based on nothing, so don't quote me there). That means the team will have around $13 million in payroll flexibility to spend on a free agent. Even more if the team elects to not bring back Jason Kendall at his current salary ($5 million in 2009). What does all this mean? The Brewers can afford to spend relatively big money in pursuit of a pitcher like John Lackey. Any big contract this year wouldn't handcuff them too much in future dealings because of the added payroll flexibility gained NEXT year when $24.5 million comes off the books in the forms of Jeff Suppan, Bill Hall and David Riske. The Brewers have some payroll to work with in this offseason, let's hope GM Doug Melvin uses it wisely. No, they didn't. Milwaukee had to trade J.J. Hardy, everyone in baseball knew it. Hardy was coming off his worst career year. All this means is that his value was low, even with the gained year of arbitration by his being sent to Nashville. 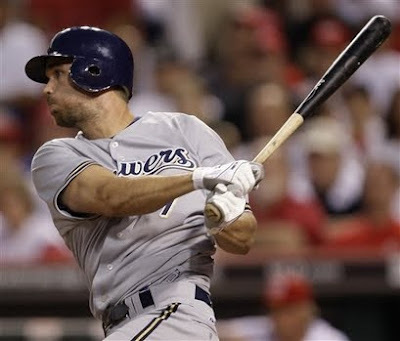 The Brewers gained a Major League player, and one with a load of potential. This is likely just the first of many moves in the 2009-10 Hot Stove League. Corey Hart, Mat Gamel and Angel Salome are all players that could end up moving before the start of next year. J.J. Hardy had a tremendous five year career with Milwaukee, and he will be missed. But a full season of Alcides Escobar will make it very easy for Brewer Nation to move on.